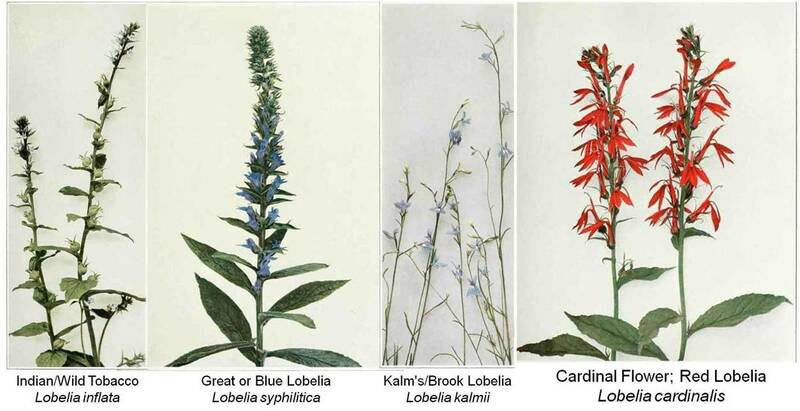 There are a number of botanists and naturalist whom Cadwallader Colden influenced. The first to mention for this review of the Colden influence is Pehr (Peter) Kalm, a Finnish explorer who worked as part of Linnaeus’s team of botanist sent out to discover, document and classify the plants and animals of the word. After completing his tour of the North American continent (ca. 1748-1749), he produced a book on his travels which got published about 1750. This book wouldn’t be published into a popular English edition until 1770 (this is the popular 2 vol. reprint sold by Dover publications). A number of early editions of Kalm’s book contain footnotes referring directly to Colden’s influences upon his discoveries, plant identifications and writings. Due to his extensive travelling, Kalm was considerably more active than Colden in documenting new species, and has a number of species directly related to his work or named after him in honor of his accomplishments. For the time being, this article published in Gentleman’s Magazine is provided to display the influences of Colden upon Kalm, as this appeared in the popular press. Kalm makes mention in passing about Colden’s two part treatise of plants of Nova-eboracensis (New York), produced from 1743 to 1747 and published by the Swedish Royal Society of Philosophy and the Sciences by 1749. 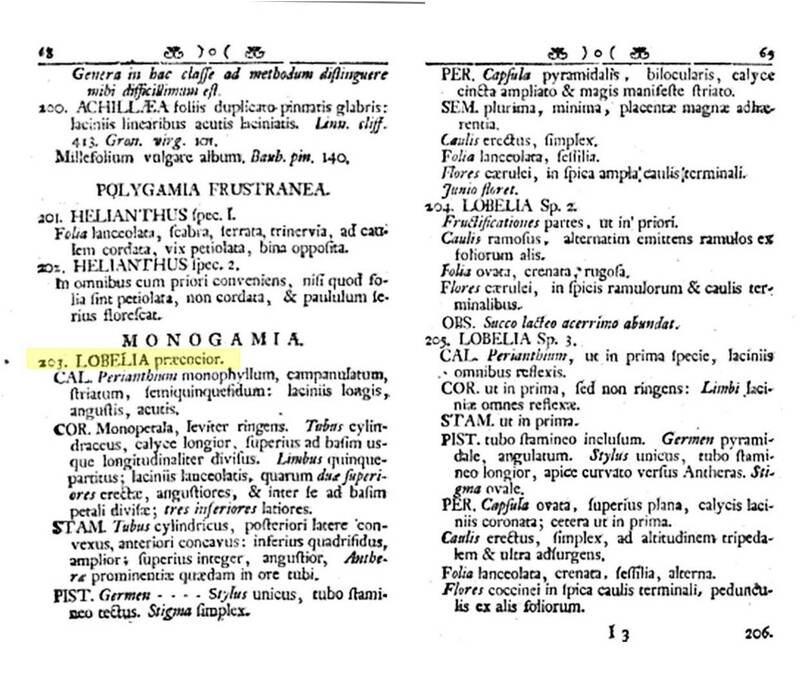 As noted in the original article’s text, the end note is taken from Colden’s description of the Lobelia plant. There are more detailed notes about Pehr Kalm and Colden which are to be covered on another page, as well as a review of one or more interesting communications they had as well during their professional years. This document illustrates how the common reader of this magazine knew about and read into the amount of influences Colden’s work was having on other scholars. This is just another example of how Colden’s impacts networked through the professional scientific networks that he was involved with. Pictures from House’s Flowering Plants of New York.